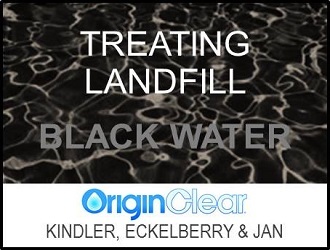 Jean-Louis (“JL”) Kindler is President of OriginClear Technologies and leads the commercialization of OriginClear’s breakthrough water treatment technology. Mr. Kindler is a veteran of 25 years as both a top executive and engineer in environmental technologies. Before OriginClear, JL was co-founder and Chief Technology Officer of Ennesys, the company’s French joint venture, where he designed its patent-pending waste-to-energy system. Earlier, as founding CEO of MHS Equipment, a French nanotechnologies equipment manufacturing firm (42 M€, 360 employees in 2008), he led the development of a breakthrough fuel cell process. And earlier still, his twenty-year career in Japan gave him unique insight into fast-growing Asian markets. There, as principal of technology incubator Pacific Junction, Jean-Louis completed various assignments. These included technology sourcing for the French industrial group GEC-Altshom, building the first commercial unit of the Blue Tower, a breakthrough hydrogen production system using waste biomass feedstock, and market development for a fluids mixing technology that helped inspire early OriginClear inventions. Jean-Louis holds a Master’s in Economics and Public Policy from the Institute of Political Science in Lyon, France, and an MBA in International Management in Paris.